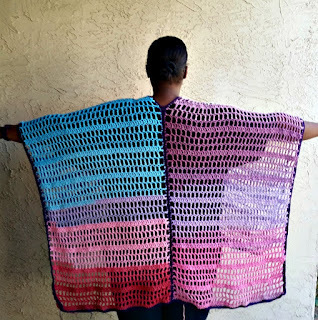 It’s shawl season, and I wanted to come up with something that can virtually be made in any yarn/hook size for the different seasons. 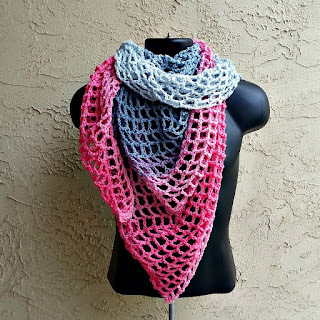 This shawl is light and airy, but still warm enough to ward off the chill. Pattern is written in UScrochetterms. 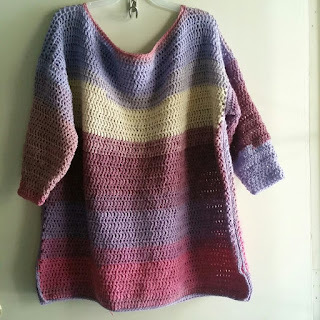 This pattern gives you PERMISSION TO SELL your finished items. 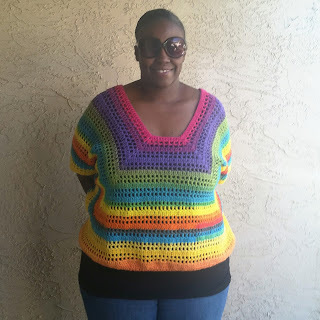 It is appreciated if you credit the design to Acquanetta Ferguson and to list the pattern link. Row 2 ch 3 (counts as dc here and throughout), 2 dc in the same stitch (increase made), dc in next stitch, in ch 3 space work 2 dc, ch 3, 2 dc, dc in the next dc, with 3 dc in the last stitch. Turn.